A fresh, clean carpet can go a long way towards improving the atmosphere in your home. On the other hand, a dirty, stained carpet is the last thing anyone wants to see every time they walk into their home. 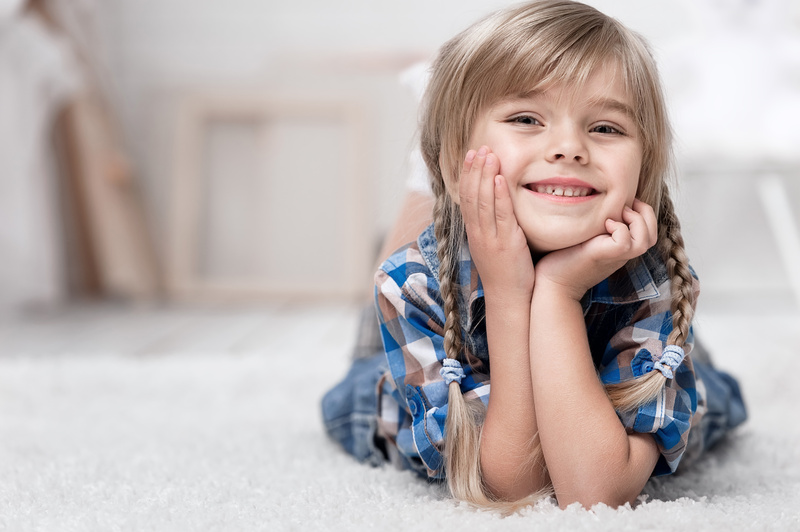 Carpet cleaning is a simple, yet often-overlooked part of keeping your home clean, and unlike many people think, running a vacuum over the carpet once every week is not enough to get the job done right. Included below are some of the most common myths regarding carpet cleaning. Most importantly, however, when you have a need for your carpet being cleaned don’t hesitate to contact the carpet cleaning professionals at Hitchcock Clean and Restore in the Berks County area. This used to be true, but thanks to improved modern carpet cleaning technology this is the case no longer. The older, less advanced carpet cleaning methods would leave the water and cleaning residue on your carpet. The water and cleaning residue would rise to the top of the carpet as it dried and would actually attract more dirt leaving the carpet with a dull look and even stains at times. Fortunately, that is not the case anymore! Modern hot water extraction done by professionals will remove the mess but it will also clean up residue water so don’t wait to get your carpet cleaned! Thus, don’t hesitate to get your carpet cleaned for the first time as it can look as it did when you first installed it! It is a great idea to have your own carpet cleaner to take care of spills between cleanings and so forth, but it can’t replace the quality of a professional cleaning job. Consumer grade cleaners don’t have enough suction power to properly extract all the water they leave in your carpet causing the same problems discussed in myth 1. You own carpet cleaner is a good idea and it may decrease how often you need to have you carpet cleaned professionally, but periodic professional cleanings are still a must for keeping your carpet in top shape. Just because you can’t see the dirt doesn’t mean it’s not there. In fact, one square foot of carpet can hold up to a pound of dirt before the mess is even visible, and at that point the damage will have already been done. It is recommended that you have your carpet professionally cleaned at least annually to prevent this buildup from happening. However, if you’re ever wondering if you carpet needs to be cleaned, it would be wise to air on the side of cleaning it. It would be great if this were the case! But weekly vacuuming simply doesn’t get the job done. Carpet manufacturers and the EPA recommend daily vacuuming. The particles of dust that settle in the carpet are miniscule but pile up quickly. Just from consistent traffic on and out of the door, a considerable amount of dirt can build up after a relatively short time. Keeping your carpet clean can be a headache, but there is a way to ensure it is cleaned and in good shape. Hire the professionals! At Hitchcock Clean and Restore in Berks County we are here to help you with any and all of your carpet cleaning needs.